After spending three years working construction with his grandfather in France and Switzerland, Bemidji native Jon Barcenas decided to match his passion for the environment with his skill in construction by pursuing a career in sustainable environment technology at Northwest Technical College. Bemidji State University students can choose from nine different programs in the School of Technology, Art and Design. All programs are hands-on, interdisciplinary experiences that build broad perspectives and specialized skills. BSU’s degree in project management prepares graduates for planning and managing resources under the constraints of scope, cost and time to successfully achieve a specific, unique objective. “When I came back from Europe and saw that NTC had the program, I thought it was a good opportunity for me to be a part of that industry at a higher level,” he said. While working in Switzerland, Barcenas had the opportunity to work with what he called “avant-garde” companies that used newer, sustainable technologies on large-scale projects managed by his grandfather. Starting as a rock laborer, Barcenas was eventually able to work with radiant heat panels that used hot and cold water circuits to detect and control building temperatures. In addition to his experience and interest in working with sustainable technologies, Barcenas’ decision to pursue his secondary education came from the encouragement of his co-workers overseas who saw his potential. After graduating from NTC in 2013, Barcenas moved back to France, where he has dual-citizenship, and worked for a promotion company building residential, luxury ski-stations. There, he was able to witness and be involved in construction projects from negotiation to completion which inspired him to go back to school and obtain his four-year degree. He is now a senior at Bemidji State University studying project management with an emphasis on construction and facilities management. He is also pursuing a design minor. Barcenas’ NTC experience has him on a path to a bright future preparing him for success at BSU. 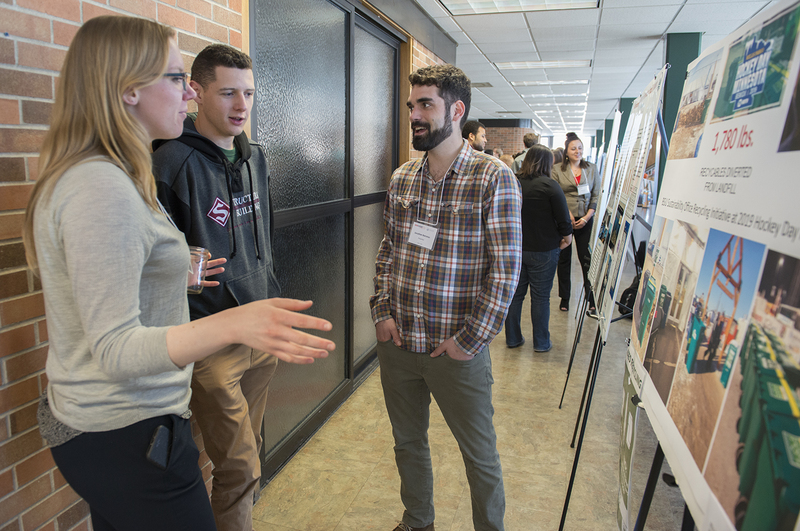 As a student employee in the Bemidji State Sustainability Office, Barcenas has used his technical experience to benefit sustainability projects on campus. Barcenas is on track to graduate in 2019 and hopes to secure employment in Minneapolis or Duluth. His path to a dream career and a bright future, following in the footsteps of his grandfather, started with his decision to attend NTC.